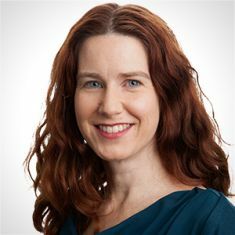 Heidi Arthur has over 20 years of experience in delivery system redesign to promote community-based access to health and human services for those receiving publicly financed care. Her projects have focused on expanding access to integrated care, enhancing clinical models that maximize new financing options, and supporting community-based organizations to facilitate meaningful engagement in delivery reform. She has supported behavioral health providers in preparing for managed care, value-based payment, health homes, and new Medicaid funded services. Her successful government grant proposals have expanded and enhanced supporting housing, re-entry services, care access for those in the criminal justice system, child welfare and foster care programming, trauma treatment, services for veterans, health homes for those with serious mental illness, and more. Prior to joining HMA, Heidi was the vice president of a behavioral health consulting firm for 10 years. She has held multiple grants management positions for the New York City Department of Health, the New York State Office of Mental Health, and various community-based human service providers in New York City and Virginia. She is co-editor and author of the book, “Service Delivery for Vulnerable Populations: New Directions in Behavioral Health.” She is a frequent conference presenter and an adjunct lecturer and field instructor for the Columbia University School of Social Work. Heidi earned her master’s degree in social work from the Columbia University School of Social Work. She lives in Manhattan with her husband, musician Ben Arthur, and their two daughters, ages 10 and 12.